Diamond Certification - What does GIA, AGS and EGL actually mean? What does GIA, AGS and EGL actually mean? When it comes to buying jewelry there are often a lot of abbreviations, acronyms and long words involved, making it very easy to get lost with what means what. EGL, AGS and GIA are acronyms commonly used when referring to diamond certification but what do they actually mean? AGS and GIA are laboratories which came up with diamond certifications grading systems that grade diamonds according to the clarity, cut and color. They have since become an industry standard for the grading of diamonds across the world. EGL is another institute which grades diamonds but they are not regarded by experts to be as reliable as the AGS and GIA certification. Knowing what you are getting for your money is important, especially when it comes to the quality of a diamond and that is why we have created this little guide to explain exactly what these 3 terms mean and what each one measures. It is to be noted that both AGS and GIA reports and certification will mention the carat size of a diamond although this cannot be graded as it is not a reflection on quality. I would also recommend taking a look at my article on the AGS vs. GIA for a direct comparison on the two largest labs. Founded in 1931, the GIA is the world’s leading authority on colored stone, diamonds and pearls. Widely respected across every continent the GIA were the first institute to create the 4 C’s and along with it the International Diamond Grading System™ – A standard which is still used today, nearly 80 years after its initial release. Diamonds are graded on their color from D – Z, with D being colorless and demanding a higher premium and Z being a more budget option and of a yellow or brown hue. Diamonds are viewed under strict lighting conditions and precise viewing conditions against other diamonds with a known color. Diamonds graded from D-R will have slight variations in color which may not be visible to the naked eye but the color grading has a massive impact on the overall quality and price of the diamond. Diamonds with a grading of S-Z may have color deformities which can be visible to the naked eye. GIA also takes into consideration the clarity of a diamond when grading it. There are 11 grading scales for the clarity of a diamond. Diamonds are viewed under 10x magnification, taking into consideration the size, nature, color, relief quantity and position of the clarity characteristics visible. The scale of clarity has become an international standard with every jeweler around the world using the GIA scale but it’s important to know what the grades actually mean. Whilst most SI1 & SI2 are not eye clean many established diamond companies like Whiteflash offer an “Eye Clean” Review service, to learn more about this click here. AGS and GIA are held in high regard for grading certification of diamonds. What the AGS Laboratories lacks in physical size, in comparison to GIA, they makes up for it sheer strength and expertise. Founded in 1996, AGSL made a name for itself as a pioneer for a grading system which analyses diamond cut quality. Since then it has made several breakthroughs and has helped pave the way for what consumers should expect from the cut of their diamonds. It is important to view the AGS and GIA as sister organisations. GIA sets the industry standard for color and clarity whilst the AGS fill a different niche with its proportion based cut grade and their scientific performance cut grade which built on top of this. This cut-grade system which was introduced in 2005 considers more physical measurements of a diamond and uses more computer analysis that the previous system. The AGS cut certification is one which is held in extremely high regard as they were the first laboratory to provide the Ideal Cut Grade for the Round Brilliant diamond, otherwise known as the “AGS Triple zero cut” or “AGS Ideal”. Diamonds are graded on a scale of 1-10 for their cut, with 1 being the highest grading that can be given. The benefit of the AGS grading system as opposed to anything else available is the way in which it can be applied to different cuts of diamonds including oval, princess and cushion cuts, as well as the pioneering round brilliant cut, in which the system was first intended for. An AGS report will provide the consumer with details of the diamond including the cut, symmetry, shape, dimensions, carat and profile, before finally giving it a grading. An AGS Platinum Diamond Report will be issued to accompany its journey from grading to the consumer. Although AGS grading’s do take into account the remaining 3C’s, associated with the quality of a diamond, the AGS cut certification is the one that removes human verification and thus any subjectivity often associated with color and clarity. EGL over the years has received a lot of bad press in regards to the grading systems that they use for their diamonds and with very good reason. Although with a long list of personal achievements under their belt the EGL has unfortunately failed in its quest to provide an international recognized industry standard for diamond cut, clarity and color. Many experts in the industry will disregard an EGL certificate as there have been too many inconsistencies in the grading of the quality of a diamond in the past with diamonds often over-graded by 3-4 grades. 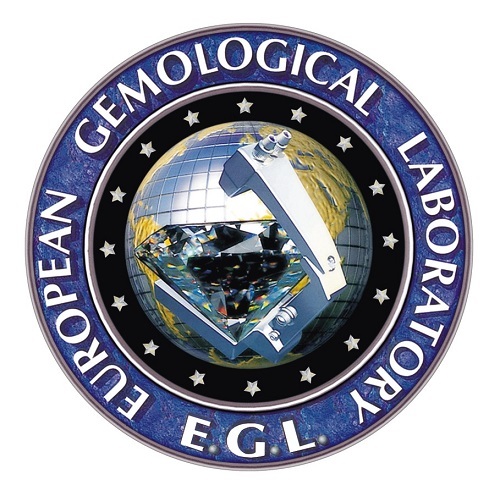 The problem with the EGL is that there is no central control and it is made up of a grouping of European Gemological Laboratories – EGL Los Angeles, EGL New York, EGL Europe and EGL Israel – they are closely related but very different entities. 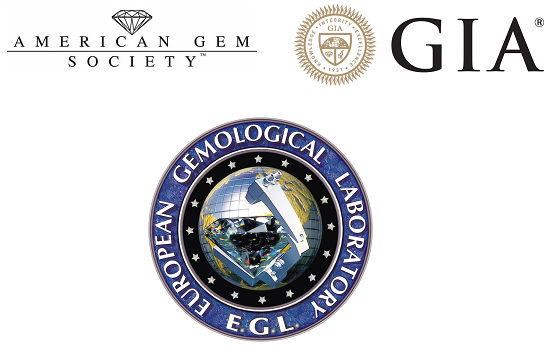 Due to a lack of consistency in grading and variations amongst standards, an EGL report holds very little weight when compared to the likes of GIA and AGS and as a result an EGL diamond will command a much lower price than one which has the higher regarded certification of the GIA and AGS. To the naked eye an EGL graded diamond can appear exactly the same as one which has been graded by the GIA or AGS and it is only when you put it through the controlled and vigorous testing that inconsistencies and variations can be seen. As you can see, variations in grading can have a massive impact upon the price of a diamond but to be on the safe side always choose a diamond that has an AGS and GIA certificate. We are all about giving consumers an informed choice on their investment. A savvy shopper will look online and not be mislead by a dishonest jeweler. Several people are now suing the EGL and Rapnet has now banned EGL Diamond Reports. Whiteflash has the largest In-house Inventory of both Hearts and Arrows Round Ideal Cut and Princess Ideal Cut Diamonds on the Internet, each one with a full set of online documentation including light performance imaging and video. James Allen also has some great videos and will provide reports on special request. A smart diamond buyer knows that Cut is the most important of the 4C’s so you should always purchase a diamond with Light Performance Imagining to make sure you’re getting the best cut. Companies like Blue Nile often don’t provide them as they don’t want to show to low quality of the diamond.